Fresh beech leaves opens as spring comes to Greenwood the Great. 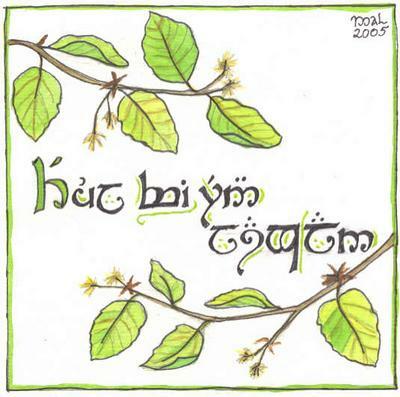 The Tengwar text reads "Ethuil vi Eryn Lasgalen", that is "Spring in Greenwood". Made for the Spring 2005 Art Challenge at ThranduilLovers Anonymous.